The People’s Emergency Center’s mission is to nurture families, strengthen neighborhoods and drive change in West Philadelphia. PEC offers more than 250 affordable housing units, job training, parenting and early childhood education, financial education and planning, life skills and technology coursework. PEC seeks to change the life trajectory for the women and children who seek its services and inspire them to aspire to new heights. The PEC Community Development Corporation (PECCDC) programs respond to community needs and build on neighborhood assets to help bridge the digital divide, expand mixed-income housing opportunities, stimulate economic growth, create wealth, and improve the quality of life for all West Philadelphia residents. 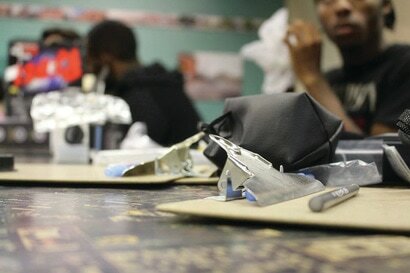 PECCDC focuses on amplifying the existing arts community by supporting many arts initiatives in West Philadelphia. Galleries, film screenings, live music shows and family events occur monthly along Lancaster Ave, bringing out neighbors and visitors alike. 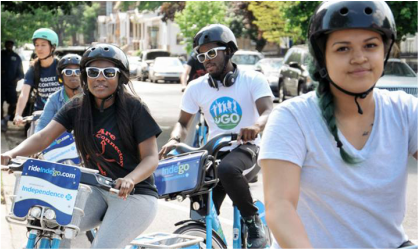 PECCDC works to improve the Lancaster Avenue commercial corridor through public events that bring shoppers to the district, connecting existing businesses to technical assistance, and creating and marketing available properties to new quality businesses. 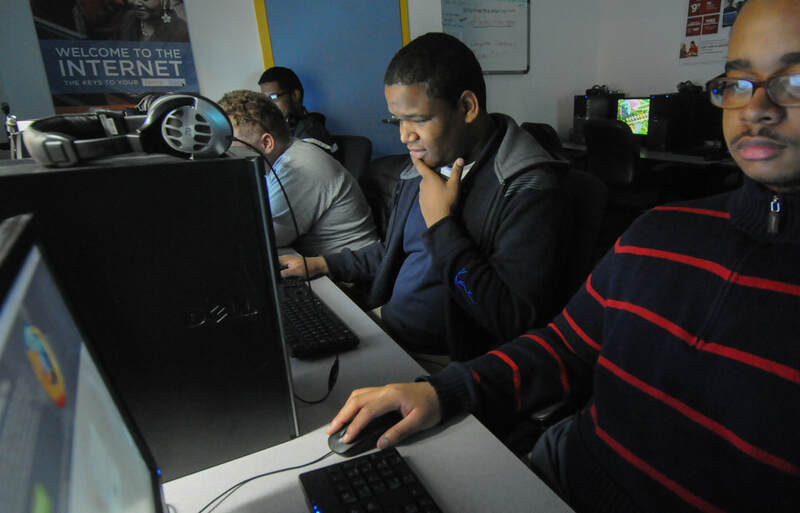 PECCDC’s Center for Digital Inclusion and Technology (CDIT) offers free computer training programs for students of all ages, connects people to high-speed internet at a low cost, and provides open access to a computer lab four days a week. Youth participants receive a free refurbished computer when they graduate from a CDIT after school program. Improving cleanliness, safety, and community health are priorities of PECCDC’s economic development strategy. These efforts focus on creating a welcoming environment on Lancaster Ave, providing healthy food access and wellness opportunities for residents. 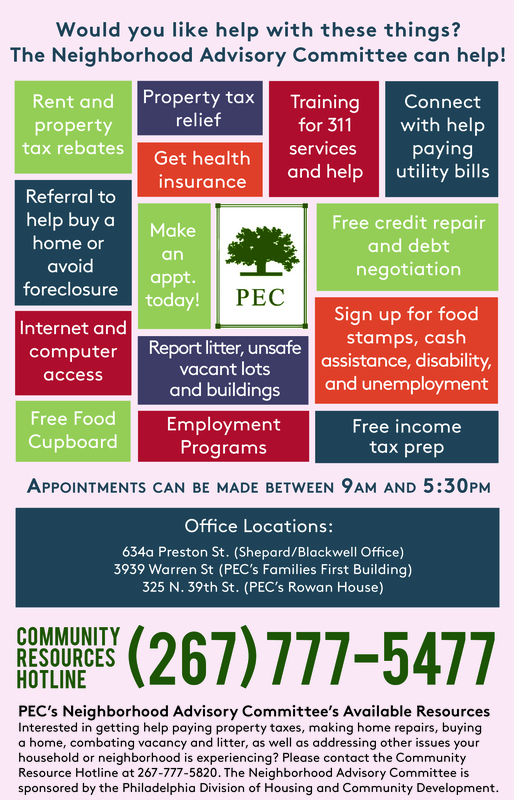 PECCDC hosts home repair programs and connects homeowners to home repair grants, loans, and property tax discounts. 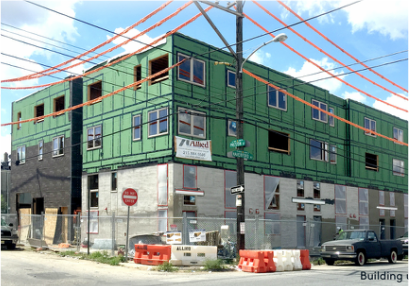 ​PECCDC’s housing developments transform vacant buildings, houses, and lots into affordable housing opportunities for renters and owners. Neighborhood Time Exchange brings together artists and community member to dream up community-led projects for the neighborhood. If you have ideas about how you would like to enhance your community through storytelling, art, and community-building we would love to hear them! Contact us at the email and phone number below, or stop by one of the monthly Second Friday events at the Neighborhood Time Exchange Studio: 4017 Lancaster Avenue. 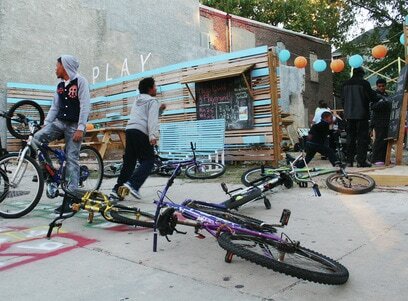 Neighborhood Time Exchange brought to you by PEC and Mural Arts Philadelphia, made possible with support from the National Endowment for the Arts and the Surdna Foundation. 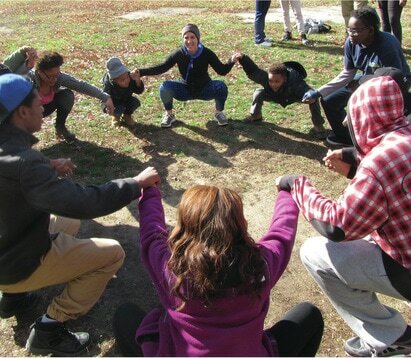 Community Connectors engage residents to help improve lives and strengthen neighborhoods. They share information about events, resources and opportunities for families. Community Connectors reach people wherever they are, whether at the supermarket, child care center, library, hair salon, school or home. Through conversations and surveys, they get to know their neighbors, connect them to resources, and find out what's needed in the community. The Community Connector Environmental Services has been formed to sweep and clean Lancaster Avenue from 38th to 42nd streets. Their message to the public is "If you are on Lancaster Avenue, treat it like your home. It is a reflection of who we are, so we want to care for it." City of Philadelphia Mural Arts Program, The Mann Center for the Performing Arts, Producers Guild of Philadelphia, Preservation Alliance for Greater Philadelphia, The West Powelton Steppers Drill Team & Drum Line, Islamic Cultural Preservation and Information Council (ICPIC), Reelblack Cinema, Indigo Bleu Design and Culture Center, Slought Foundation, PhillyCAM, Public Workshop, Tiny WPA, Community Education Center, Traction Company, Spiral Q, Mighty Writers, Philyva, Institute of Contemporary Arts, Paul Robeson House & Museum, African American Museum of Philadelphia, Lancaster Avenues 21st Century Business Association, Philadelphia Parks and Recreation Center, Drexel University, Philadelphia Lawyers for Social Equity, Rose's Clubhouse, Wexford Science & Technology, Citizens Planning Institute, 16th Police District, Belmont Alliance Civic Association, City of Philadelphia oTIS, EAT Café, Habitat for Humanity Philadelphia, Indego Bikeshare, Mantua Civic Association, Mayor’s Office of Community Empowerment & Opportunity, Mill Creek Advisory Council, Mill Creek Community Partnership, Mt. Vernon Manor CDC, Philadelphia Museum of Art Rebuilding Together Philadelphia, School District of Philadelphia, Technology Learning Collaborative (TLC), University Square Apartments, West Belmont Civic Association, West Philadelphia Arts Connect (WPAC), West Powelton Concerned Community Council, West Powelton/Saunders Park RCO.